De to partnere i FRONT OF HOUSE Casper Panduro og Mark Chemnitz har tidligere været medejere af den banebrydende og innovative lysvirksomhed LYNGSAA, der bl.a. har leveret del- eller total-løsninger til: Telenor Arena i Norge, Aarhus Musikhus, Vendsyssel Teater og mange andre. Det har givet dem et enestående kendskab til og indblik i lyd- og lysbranchen og vi kan derfor give jeres virksomhed den bedste løsning på både produkt og pris. Telenor Arena is Norway’s leading indoor multipurpose arena for concerts, events, exhibitions, sports, family shows and more. 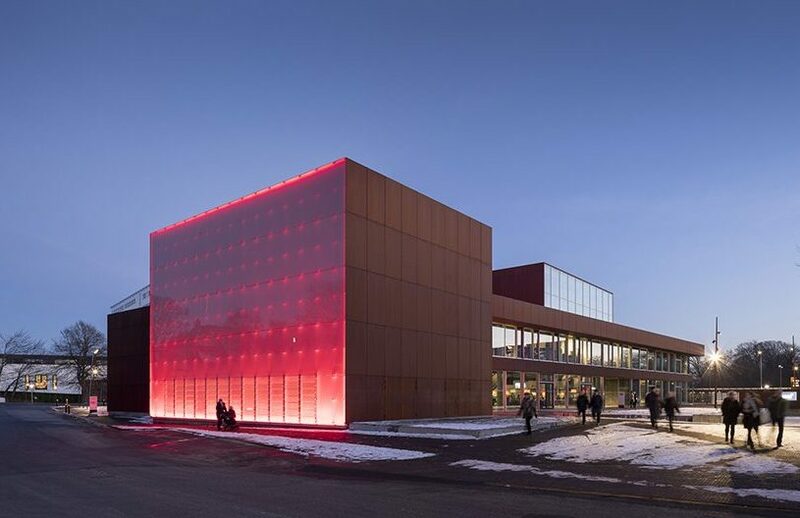 Opened in 2009 in Fornebu, Oslo installations upgraded in 2014-2018. Hosted concerts by among others The Rolling Stones, Justin Timberlake, Justin Bieber, Rihanna, Foo Fighters, Beyoncé, Bruce Springsteen, and Roger Waters. 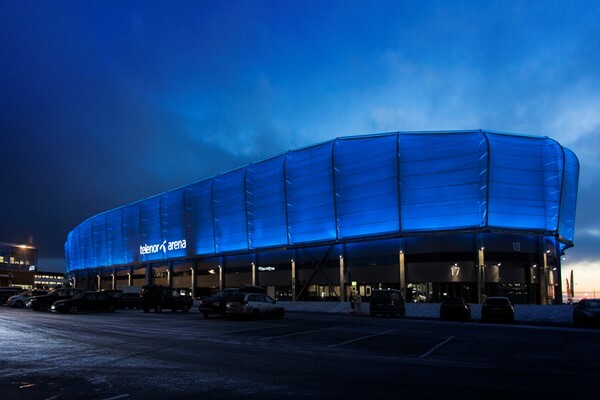 "At Telenor Arena we strive to provide the best total experience for our audience and customers in terms of visual and technical perception. LYNGSAA managed to succeeded in providing a unique illumination both indoor and outdoors that we could not find elsewhere. 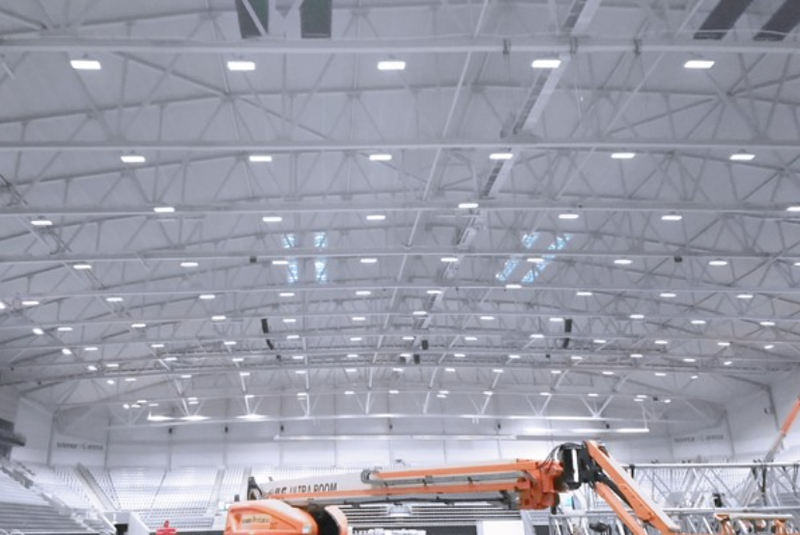 The light quality inside our Arena is second to none, and the visual impression of the Arena building is astonishing, thanks to the technological expertise provided from LYNGSAA. 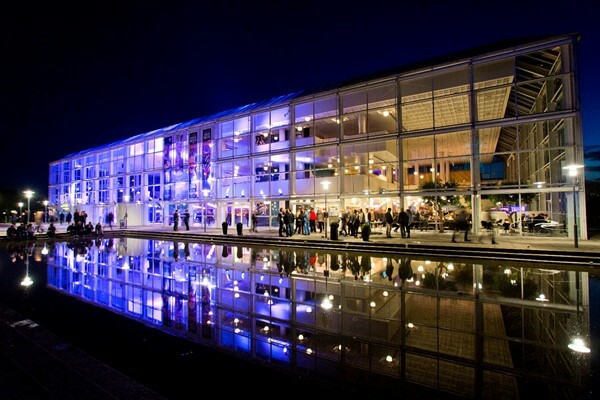 Build quality and service from LYNGSAA has been impeccable, and we are proud to have achieved the highest ranking Arena light quality measurements." DMX controlled RGBW accent lighting. Hidden installation in low profile fixtures. With Hook-and-Loop Fasteners for easy configuration and removal if needed. Centralized control system enabling minimum size of light fixtures. Fully customized animations and effects for full integration into the visual experience connected to the performance and music. Synphonic Hall with room for 1184 seated guests and scene for a full symphony orchestra. 25m to the celling with two balconies. Specially designed brackets for wallwashers, made from anodized aluminum and stainless steel. Maximum output of 7700 lumen. 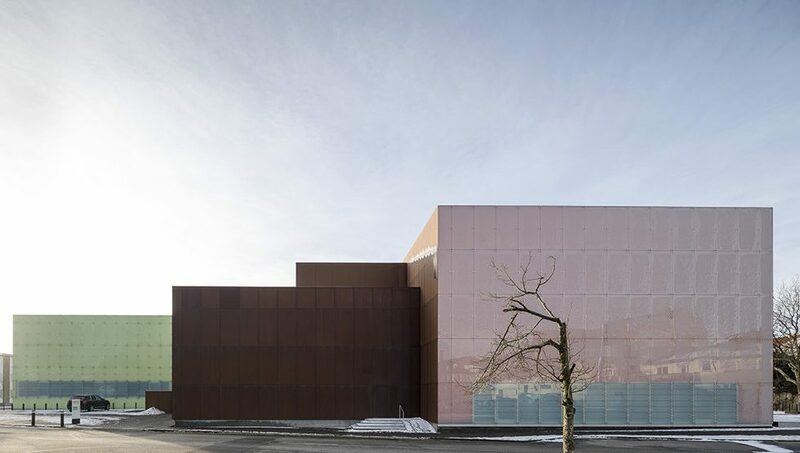 Vendsyssel Theatre are design by the Architects Schmidt/Hammer/Lassen.